Today we’re talking face cleansers. I have 5 to talk about, and none of them is your typical gel foaming cleanser. Indeed, this selection of cleanser is made out of balms, oils and creams, and are all used on dry skin as opposed to traditional cleansers that are used with water. For the cleansers that I’m presenting today, my favourite way to use them is as follows: I apply them on dry skin and massage well to make them melt and thus remove my makeup as well as cleanse my skin. I then wet my hands with warm water and emulsify the product on my face, working it even more on my skin. I then use a damp muslin or flannel cloth to remove the product as well as the grime and makeup. The good thing about using a cloth is that it’ll help getting rid of all the makeup and grime all the while providing a little exfoliation. 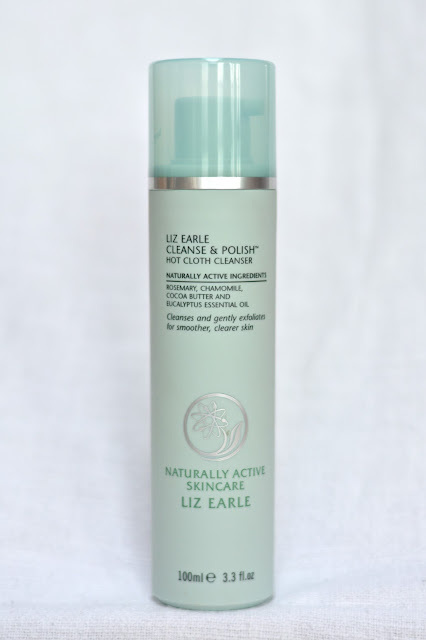 I really like to use this type of cleanser as the first step in my routine, to take off my makeup and start cleansing my skin, and I usually follow with my La Roche-Posay foaming cleanser to cleanse my skin even more. This is my least favourite of the bunch so I’ll just start with it so I can focus on the positive afterwards. I bought this cleanser because I heard many people rave about it but personally I’m not really convinced. When it comes to rinsing it off, whereas most balms and oils can be rinsed off using nothing but lukewarm water, (I always use a cloth due to personal preference) this one can’t. Indeed, the sensation it leaves on the skin when you try to wash it off with water is similar to the one you get when you try to get butter off you hands with cold water. This means that it is essential to use a damp cloth or a cotton round/ball and toner to remove this cleanser properly. Not necessarily a bad thing but I don’t really like the feeling. However, this may all be my bad as I’ve seen online that this cleanser is mainly targeted for dry and sensitive skin whereas my skin is very oily and a little dehydrated. Reviews online show that this cleanser really helped to soothe people’s skin and that it is an excellent cleanser. For whom / for what ? As opposed to what Lush says, I would advise to use this product as a cleanser rather than as a makeup remover or cleanser and makeup remover in one and maybe more for people with dry skin rather than oily. This on the other hand is a balm cleanser that I really love ! This balm instantly transforms into an oil when you rub it between your fingers and on your skin. But the good kind of oil, that is light enough to be comfortable. I find this product to be just as efficient to cleanse my skin as it is to remove my makeup (though it doesn’t work on waterproof mascara). It melts away makeup and grime and doesn’t sting the eyes. When I use this balm, I will sometimes use it twice in a row, once to remove my makeup and one to thoroughly cleanse my skin. I do that on days when I feel like my skin needs a bit more TLC as this balm is a bit richer than my La Roche Posay foaming gel. Another good thing about this balm is that it smells incredibly nice without it being overpowering (it kind of smells of orange blossom and jasmine … maybe) and this scent makes using it before bed a real treat ! And as if that wasn’t enough, the ingredients are really quite good. I’m by no means an expert in ingredients and correct me if I’m wrong but I’m pretty sure that this balm has it all right. For whom / for what ? I really like this balm both for cleansing and removing makeup and I’d say that it would work for all skin type. I recommend it to people who like to spend a bit more on their skincare. Now let’s get to the oils with this first one, which is more on the affordable side of things. I bought it in Boots when I was in England. I did a review of this oil last year (here) and my opinion about it hasn’t changed much since. I remember that at first the consistency was surprisingly oily but I got used to it fairly quickly and it emulsifies really well with a little warm water, which means that it can easily be rinsed off without the need for a muslin cloth or flannel if you don’t like using one. Another thing that could be a bad thing is its scent which is somewhere between citrussy and a detergent. I know this sounds really bad but it isn’t that bad ! It sits somewhere in between the two and though it isn’t the most pleasing scent it definitely doesn’t smell so bad that it keeps me from using it. On the good side, on the extraordinary side even, this oil is amazing at removing makeup, be it eyes or skin (though again, it won’t work on waterproof mascara) without stinging the eyes or leaving a film on the skin. All in all, I really like this oil despite its few little flaws and I use it regularly with a cloth because I really love it as a makeup remover. For whom / for what ? Personally I like it better as a makeup remover than I do as a cleanser but I find it to be very effective. It would probably work for any skin type and maybe drier skin type than me will like it as a cleanser as well. Another cleansing oil and this one is as soft as velvet. Indeed this is what surprised me the most when I first used it and it keeps on astonishing me every time I use it; it is extremely soft on the skin. As for removing makeup, it is slightly less efficient as the Una Brennan but it’s still really good, it’s just that Una Brenna is exceptional. Update: it actually removes makeup just as well as the Una Brennan one. As it feels nicer on the skin and smells nicer, I actually like this one better than the Una Brennan one ! Personally I don’t like it as much as my cleansing step as I do as my makeup removing step but it’s more about my personal preferences than it is about it’s ability to do the job properly. The green tea it contains is supposed to help with imperfections as well as to soothe the skin. My skin feels is quite soothed at the moment but I have no idea if it’s because of this oil or because it’s behaving at the moment but in any case, I’m happy about it. You can also buy a rose version which is targeted more at skins looking for moisture. For whom / for what ? For anyone who’s looking for an oil that will serve as a makeup remover and a cleanser as it’s really efficient and doesn’t leave a film on the skin. This here is more of a balm-cream than it is really a balm. This cleanser, as opposed to the Emma Hardie or Lush balms, doesn’t melt and transforms into an oil when in contact with the skin. Instead it sort of melts into the skin, melts the makeup and grime and makes it really comfortable to massage the skin. I particularly like to use this cleanser in the winter, especially because of the scent that reminds me of a spa. It also feels like it is very slightly self-warming (very slightly ! ), which is extremely nice in the winter. I like to use this product as much as a cleanser as I do as a makeup remover, because it’s really good at doing both, doesn’t sting the eyes, doesn’t leave a film on the skin and it feels like it’s actually doing something for my skin on top of cleansing it. The big drawback about this product is that it is probably impossible to find in Switzerland. I can’t find it in any of the online shops where I usually place my orders and I’ve never seen it in any real shop. What I do is that every time I go to the UK I check to see if I have enough stock at home. For whom / for what ? For anybody, as a cleanser or a makeup remover. 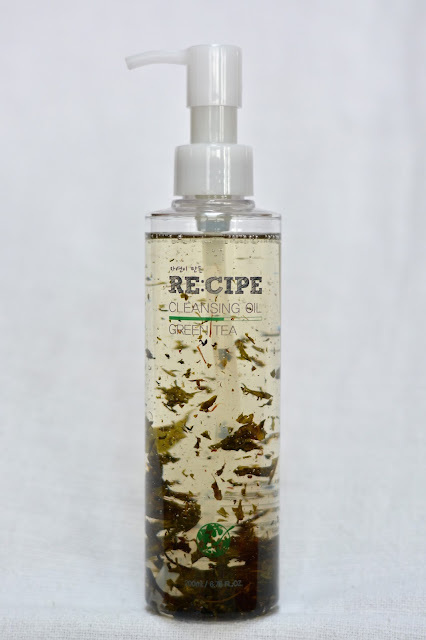 It could be good for people who are a little afraid of oils but wan’t to try something other than foaming cleansers. So that’s it and I really hope that this post was interesting and helped you in some way. Do you know any of these products ? What’s your favourite cleanser/makeup remover ? I've got a tester of the Emma Hardie cleansing balm that I can't wait to use! Also want to try the Una Brennan one too! Loved this post!